I think it’s fair to say that Dates are part of our family. If you read my Creamy Chocolate Fudge Popsicle post, you may remember that I get my supply of dates from my in-laws backyard. Yes…how amazing is that! 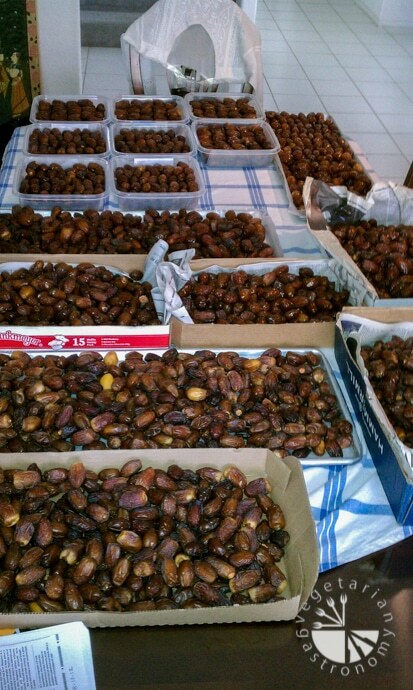 I’m so fortunate that they grow more than a thousand dates every year; large, delicious, Medjool Dates. Here are pictures from their backyard from one of their previous harvest. Dates stay nice and fresh when stored in the freezer, so I typically have an endless supply of dates at my disposal, which is simply awesome. The first time I was exposed to a Date Shake was as an undergrad at Cal 15 years ago. My husband (boyfriend at the time) would always bring back ‘date crystals’ (dried date pieces) from home whenever he visited his parents. 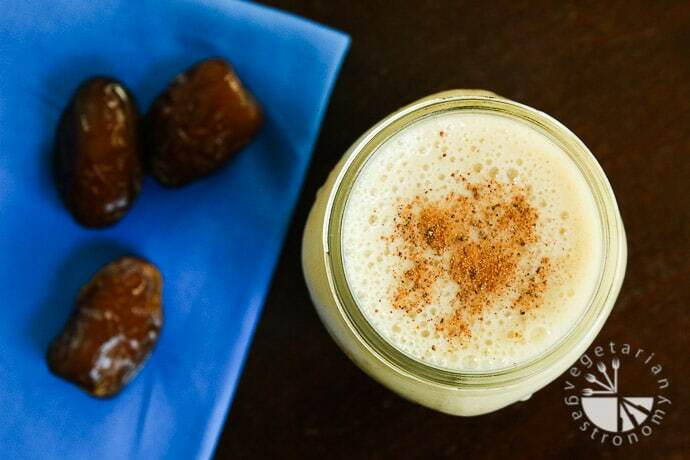 He would make us his version of date shakes by soaking these date crystals in water, freezing them, and then combining the frozen date crystals into a blender along with some milk, vanilla ice cream, and nutmeg to make us the perfect thick and creamy mouthwatering shake! We’ve regularly had date shakes ever since, especially when we go to visit his parents in the Palm Springs area. Of course, with the plethora of dates they now grow in their yard, we now make date shakes with fresh dates instead of the crystals. 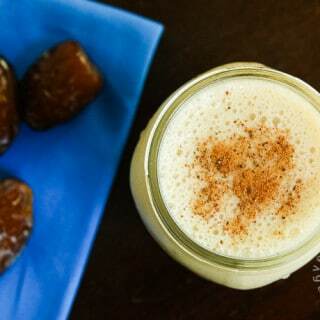 Over the past 15 years, my date shakes have evolved from using soaked and dried date crystals, to using fresh dates, and now finally to making my own version of a healthy, creamy, VEGAN Date Shake. I created this simple recipe before I went vegan as an attempt to turn our standard date shake into a healthier vegan version that we could enjoy on a more regular basis. This 4-ingredient healthy, vegan, no-refined sugar shake will leave you speechless!! It’s the perfect quick summer treat to enjoy with your family. 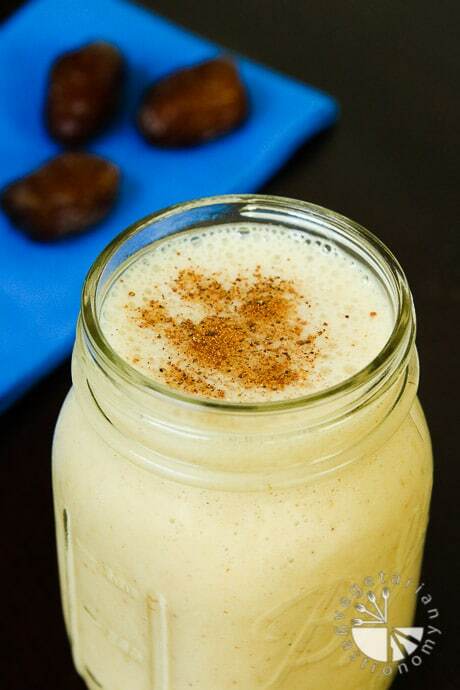 If you don’t already have nutmeg, I HIGHLY recommend you get some before making this shake. I think it is essential and really enhances the overall flavor and takes the date shake to another level. Since I’m drooling just writing this post on Date Shakes, I think it’s about time I end this post, share the recipe, and go make some for my family to enjoy after my kids wake up from their afternoon naps! Happy Summer Everyone! I love hearing from you guys! 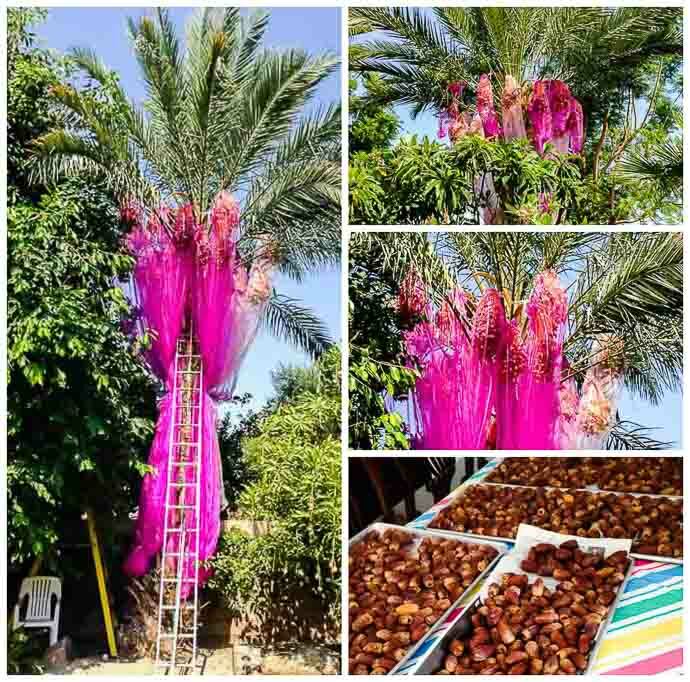 So if you manage to get your hands on some dates and need something refreshing to whip up this summer, try out this recipe and let me know how you like it!. 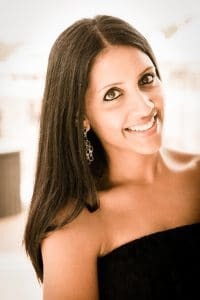 It’s also a great way for me to get feedback on my recipes. You can give any feedback below, or you can also tag me on Instagram if you make one of my recipes @vegetariangastronomy , #vegetariangastronomy, so I don’t miss it. 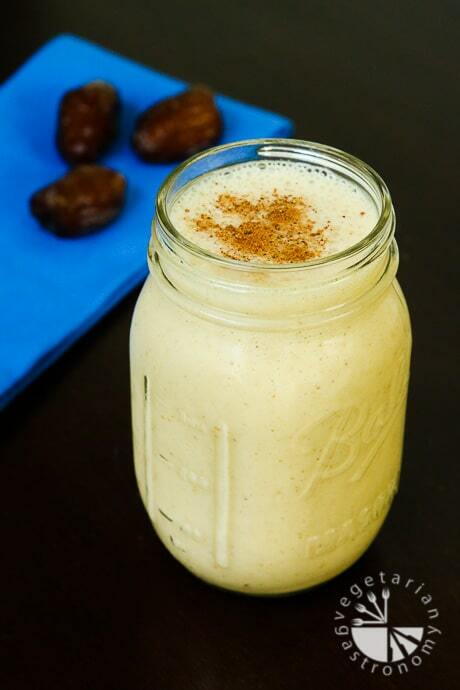 Try this healthy twist on a classic date shake! No refined sugar, vegan, gluten-free and the best afternoon healthy treat on a hot day! Add everything into a blender, such as a Vitamix . Blend until completely smooth, using a tamper (or push down) if necessary to blend in the frozen bananas. Pour the creamy date shake into the 4 glasses and top with some additional ground nutmeg. Enjoy cold! Almond Milk - Amount of almond milk depends on desired thickness of the shake. For a thicker shake, add less. Non-Dairy Ice Cream - I prefer non-dairy brands such as Nada Moo, Luna Larry Coconut & Bliss, and So Delicious cashew based. awesome! I think he made it for everyone that he met along the way, and I haven't yet met anyone who hasn't fallen in love with it! His mom actually softens the dates, blends them up with a tiny bit of water, and freezes the date paste to scoop out and add into the shake, but this is easy so I do it this way. Gautam used to put in the vanilla ice cream, but if you have a vitamix or some type of blender, try the frozen bananas instead! 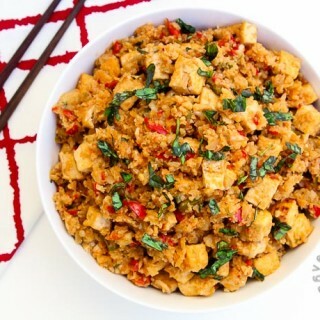 You can't even tell the difference and it's healthier =) Let me know if you try this version! Thank you!! You're right, the nutmeg makes it perfect! Totally satisfied my craving.. =) Have to try the frozen bananas next time around.. I bought a Nutribullet just to make this (the Blentec & Vitamix are way too expensive here in Malaysia)! Turned out lovely, made with homemade almond milk. Everyone loved it! Oh wow! I feel so honored and SO glad you loved it! It's one of our favorites, we usually make them with date crystals but they're not readily available, and i wanted a healthier vegan version. Hopefully you're able to use your nutribullet often!! I'm having a 'blast', literally! The nutribullet is brilliant. A great drink, that comes out well in it, is Cashew nut Milk. 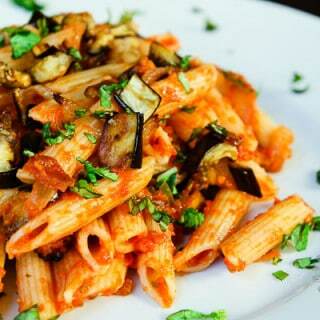 Serve it with honey/agave, vanilla, cinnamon added and the secret ingredient, a dash of Himalayan pink salt. So refreshing! I haven't made my own nut milk yet...but have been meaning to give it a try...sounds so delicious! Perfect drink.i always keep dates and easy to make it.